We get it, you need a sturdy cold cup and want one that does less harm to the Earth than a foam cup. 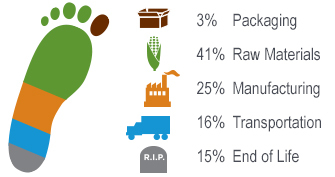 Well, choosing post-consumer recycled products is one of the best ways to help out the planet without compromising performance. 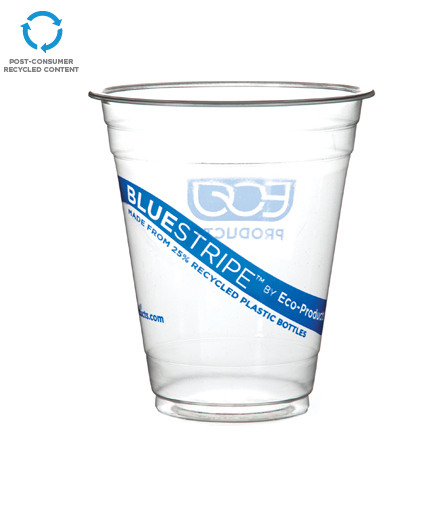 BlueStripe™ Cold Cups are 25% recycled PET (rPET) plastic. These products do a stellar job with your beverages, and they use 25% fewer virgin resources and help divert waste that would otherwise be landfilled. Win win! Great for any cold drink. The perfect finish for a drink in our BlueStripe® cold cups? A flat recycled content lid.